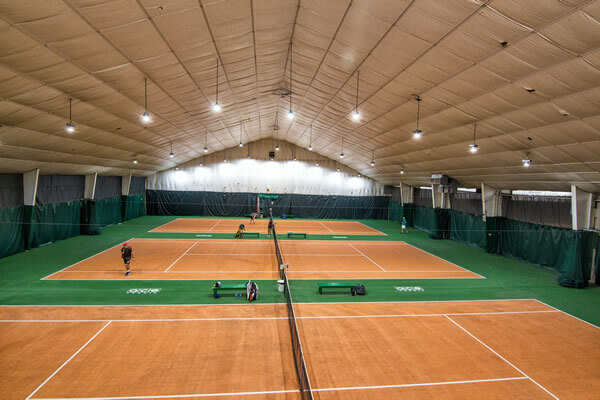 Cedar Springs Health, Racquet and Sports Club is known in the Burlington and GTA area as being the hotspot for court sports, drawing tournaments from all over the country. We have 32 impressive courts; more than any other club in the Mississauga, Milton, Oakville, and Brantford area and beyond. Whether you’re into tennis or racquetball, badminton or pickleball, there’s something for every interest, age range and ability. We also have a great junior program in our various racquet sports, both with lessons and the opportunity to play casually and competitively. And our court sport reputation means that when it’s time to play, thanks to a large membership pool, we can easily match you with other players at your age and ability. Once you purchase a membership, players are assessed by our top-notch pro to determine ability so you can best learn and grow as an athlete in round robin, ladders, leagues and tournaments.